For the better part of the decade, we’ve seen social networks help bind the world closer together. People who otherwise wouldn’t know or talk to each other are doing so, and while emotions may be mixed about platforms giving people a place to connect, convene, and converse, they’ve done more for collective humanity online, rather than for personal relationships offline. 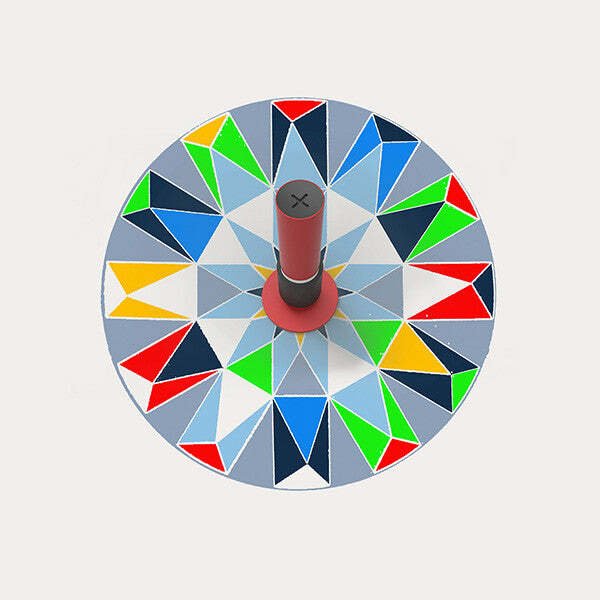 Social networks have taken our daily lives and put them on the public forum, but there are a few aspects of relationships that need to stay private, away from the eye of the world, away from the need for social validation… and Talsam is here to foster that. Think of Talsam as being a tech enhancement for your emotional connection with your loved one. 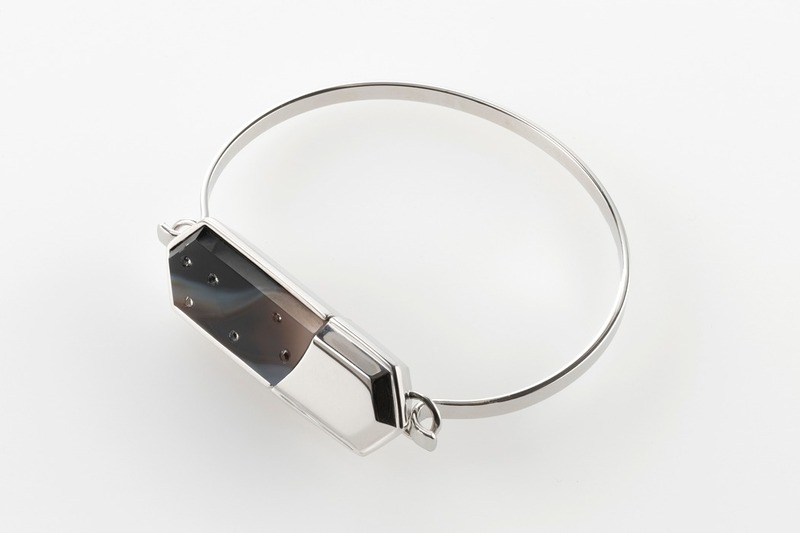 The wearable and app connect two wearers together, allowing them to stay in touch on a platform that’s designed to fortify one-on-one relationships, rather than be a ‘social platform’. 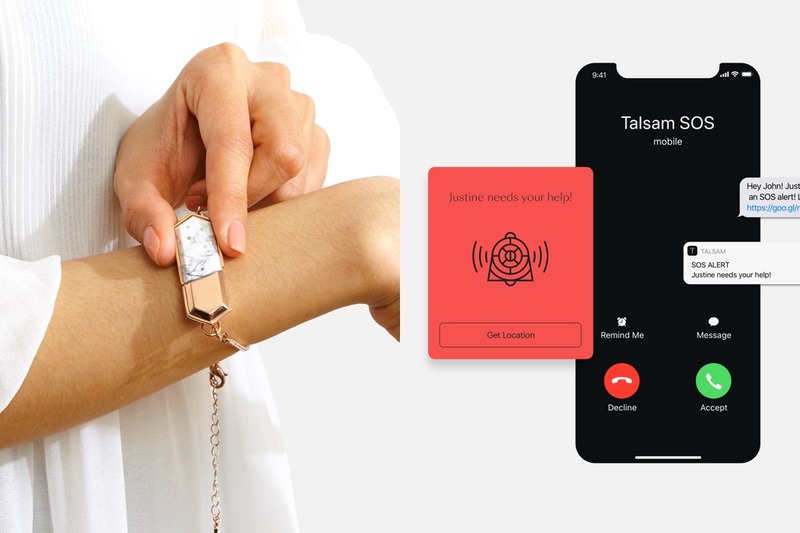 Combining a wearable and an app, the Talsam ecosystem lets two people be in touch through the power of technology, focusing on the bond and the emotion behind it. 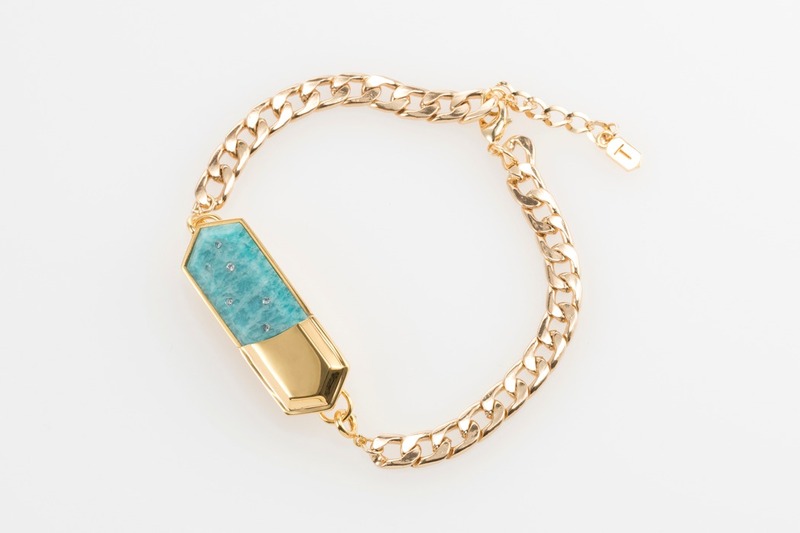 The wearable looks like a piece of jewelry or a charm, sitting on your wrist or around your neck. 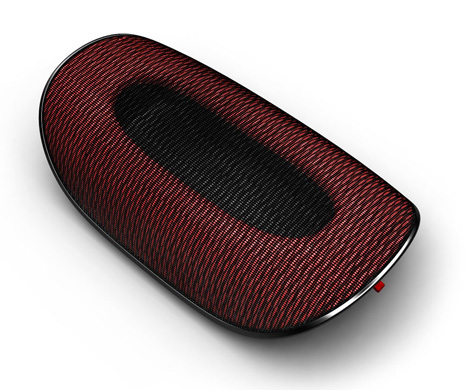 It connects to your phone, allowing you to stay in touch with your relative, partner, or friend who’s wearing the Talsam too. 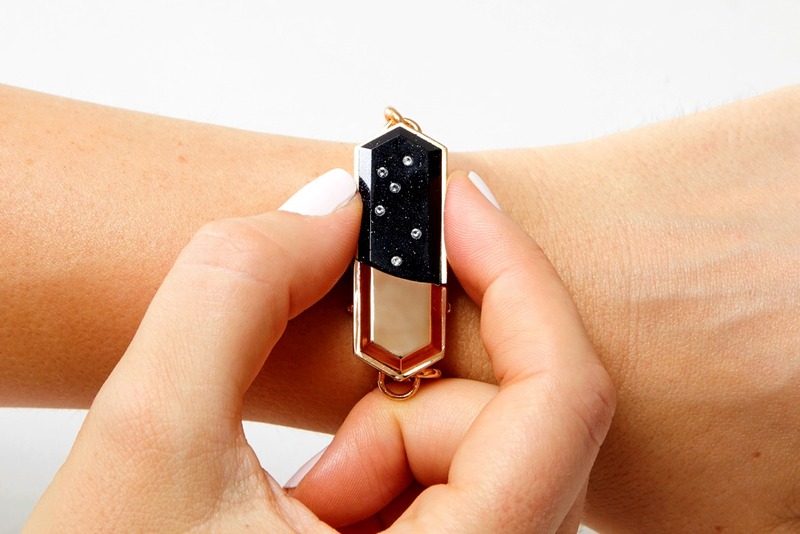 Bound together with the Talsam app, the wearable acts as a notification machine, lighting up beautifully through its Swarovski crystals everytime the other person sends you a message or a notification. 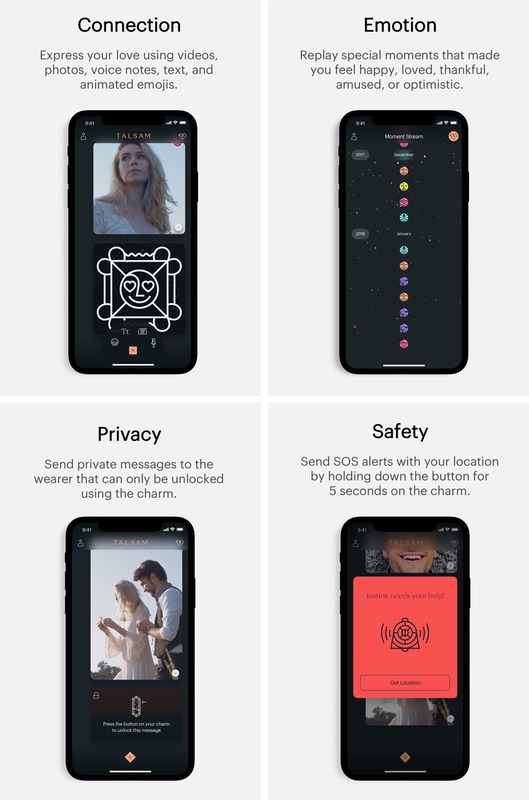 The app facilitates chatting and sending messages/images through an encrypted system, ensuring that the conversation stays between the two people. 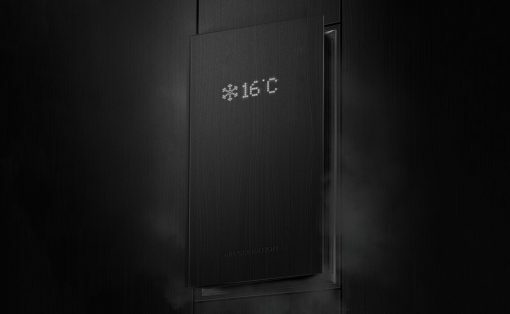 Images stay encrypted too, and tapping a button on the Talsam wearable unlocks the media, acting as an offline key of sorts. Designed not to build relationships (like Facebook, Instagram, Tinder, etc.) but to enhance the ones that matter, the Talsam even comes with an emergency SOS feature that lets you ping your loved one with a distress message and geolocation. 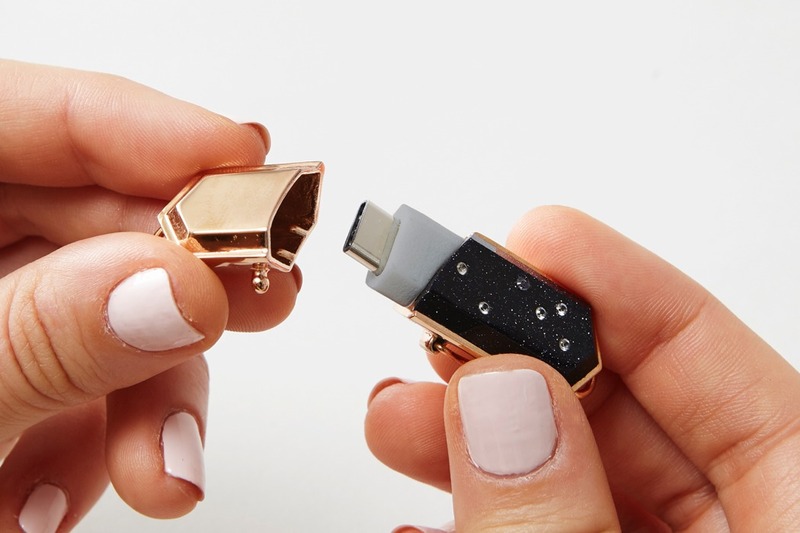 It enables private conversations and even video-chats through the app, allowing the wearable to bind the experience together and act as a real-world charm for a relationship that may be online. 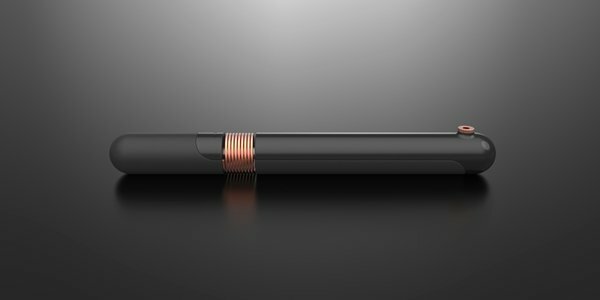 Perfect for long-distance relationships, or regular relationships looking to use technology to keep in touch, the Talsam is exactly what IoT needs. Not connecting gadgets together, not collating your data online for corporations, or pushing your private life into the public domain for social validation. 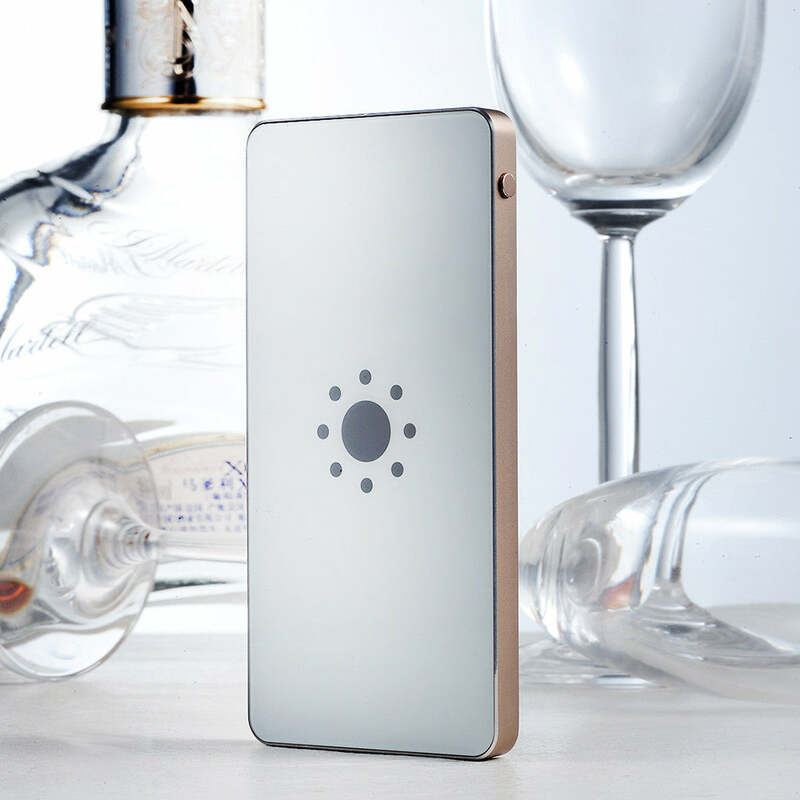 Talsam uses tech to keep intimate relations intimate, and special moments special. 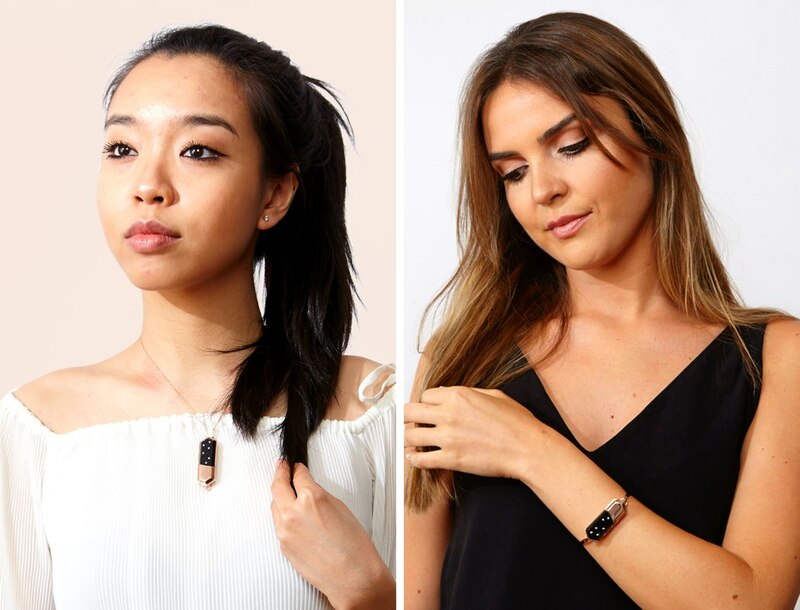 Talsam is a stylish charm that lights up when its wearer receives a message and lets its wearer send SOS alerts with their location. 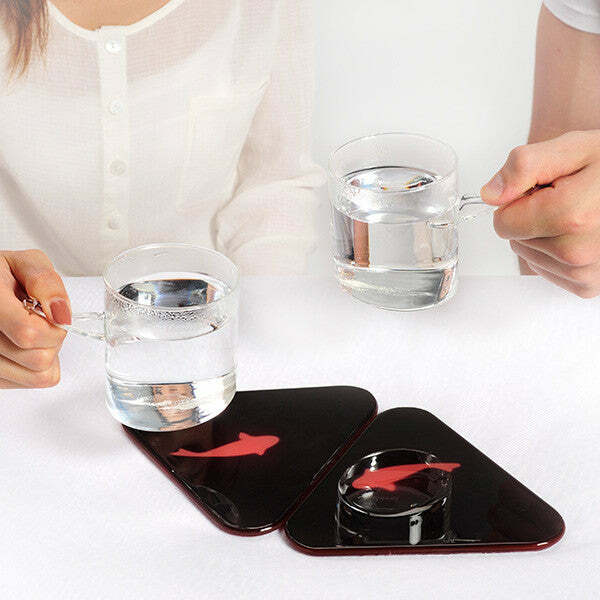 A truly personal gift for a loved one. 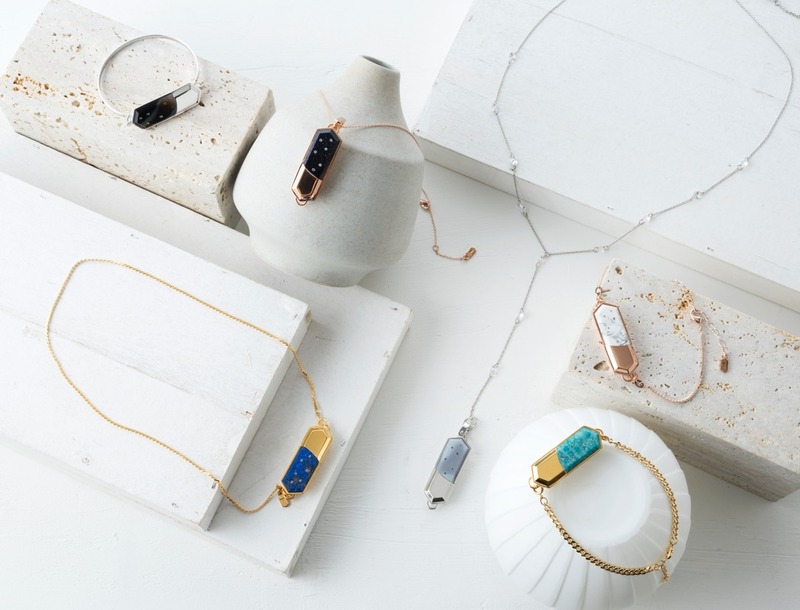 It’s smart jewelry you can use to let them know you’re thinking about them, exchange private messages, and get notified if they need help. Talsam offers two people an intimate way to communicate. When you give​ one to​ someone, you transform the way you stay in touch with them. The New York City based design team spent months carefully constructing every aspect of the charm to ensure that it offers wearability and style. They handpicked semi-precious stones as the main accent of the charm and adorned them with Swarovski crystals to add elegance to the overall look. 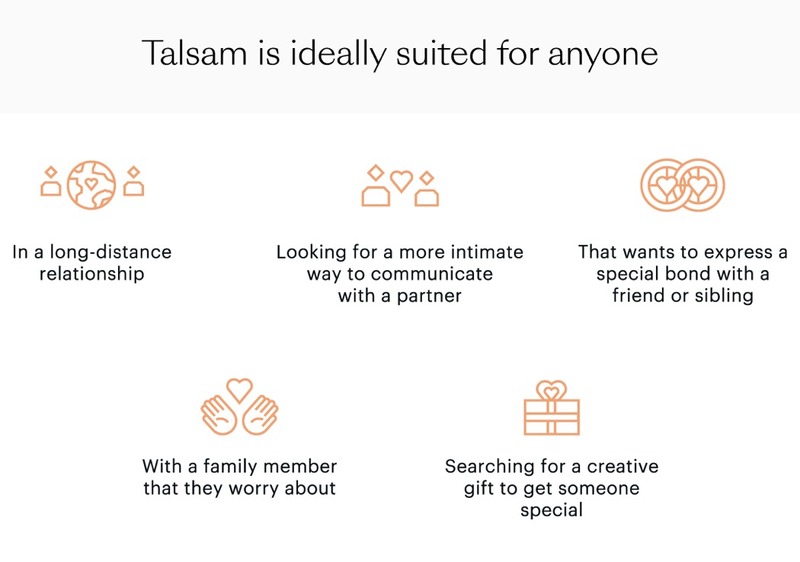 Talsam is for anyone looking for a better way to stay connected with someone they love, whether it’s a friend, family member, or romantic partner. Express your love in a video, photo, voice note or text message, or choose from a collection of animated emojis. 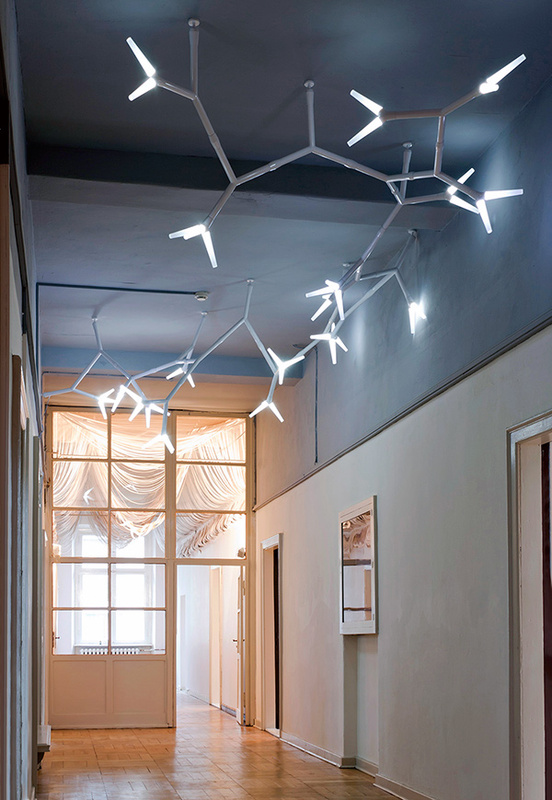 Send any type of message using the app and the charm lights up like a shooting star. A loved one can send you an SOS alert by holding down a button on the side of the charm for 5 seconds. The charm vibrates to confirm that the alert was sent. You instantly receive an email and SMS containing their location, along with an automated phone call. You can mark any message you send the person wearing the charm as a private message. The wearer then has to press a button on the charm to authenticate their identity before the message is displayed in the app. They approached the app as if it was a standalone product and designed it to offer an intimate experience even without the charm. The end result is a full-featured messaging app built to support your most precious relationships. Tag a message you receive according to how it makes you feel, choosing from five emotions: amused, happy, loved, optimistic, and thankful. Replay old messages based on how they made you feel in the past. So, if you’re ever feeling blue, just tap on a random happy moment and turn that frown upside down. They explored an array of semi-precious and man-made stone options before picking the final six, each of which has its own unique set of properties. Gray Agate is known as a grounding stone that harmonizes the mind, body, and soul. It has been used for healing as far back as Babylon and it was considered so powerful in Medieval times that tying it to the horns of oxen was thought to yield a plentiful harvest. 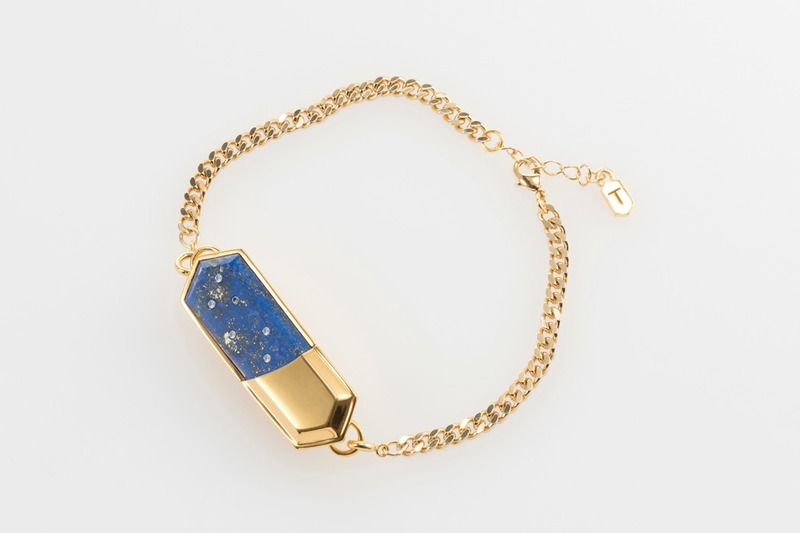 Lapis Lazuli has been sought after for its protective qualities for centuries. The sarcophagus of King Tutankhamen was lined with this stone and it is said that Michelangelo grounded it up into powder and used it to paint the Sistine Chapel. 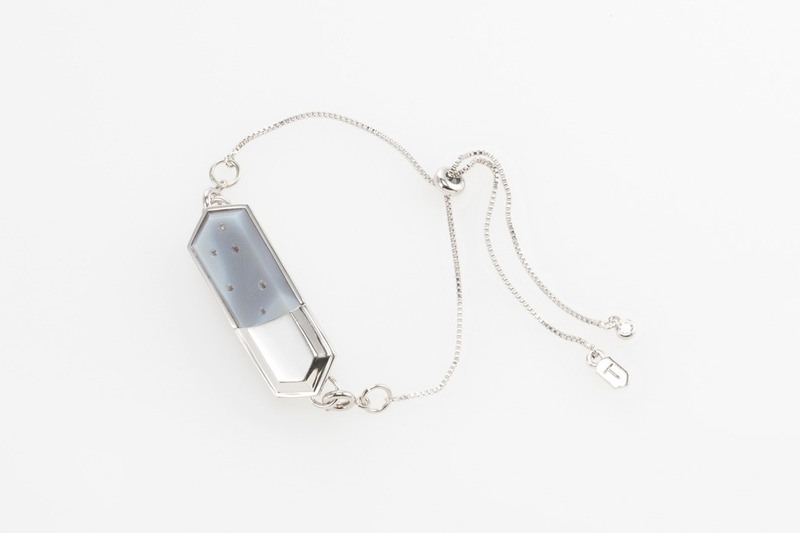 Lapis is thought to shield its wearer from harm and bestow them with wisdom, truth, and understanding. 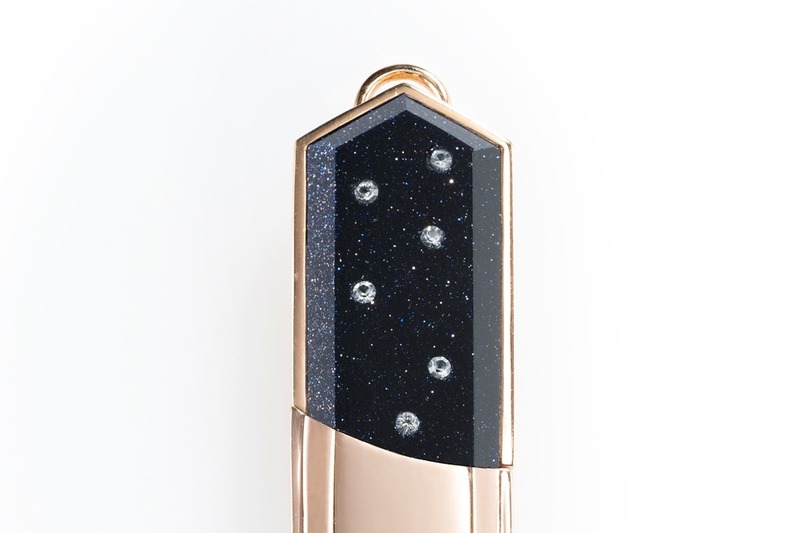 They added six Swarovski crystals to the stone face laid out like the Lyra Constellation, a group of stars associated with music and love. Stainless was chosen for its durability and hypoallergenic properties, and applied gold-plating with a protective PVD coating. 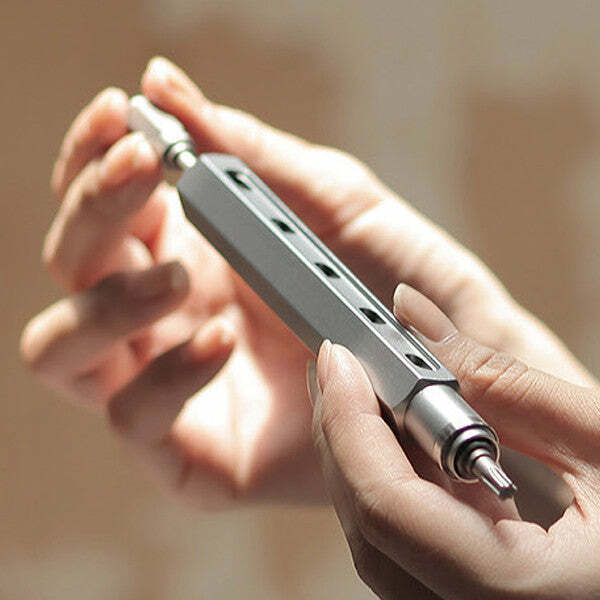 There’s even a USB connector hidden inside Talsam that can be plugged into a power source, your computer, or even your smartphone. Previous articleSmeg’s toaster is 100% retro glory!